BSNL TTA (JE) 2016 exam would be conduct on September 25, 2016. More than 15 lakh candidates will appeare for BSNL TTA (JE) 2016 examination on various exam centers across the whole country. BSNL will conduct online examination for filling up total about 2700 post of JE (erstwhile TTA). Here in the below list we are providing circle-wise list of cities in which BSNL TTA (JE) 2016 exam would be held. Candidates may check their exam city which they fill as first choice while filled BSNL TTA (JE) 2016 application form. Here in the below table the list of the cities (circle-wise) in which BSNL TTA (JE) 2016 exam will be held is given. The circle office dealing with your application will be your point of contact for any inquiries regarding your examination center and other matters. So candidates who are facing any kind of problem related to BSNL TTA (JE) 2016 examination may contact to their circle BSNL TTA (JE) office. 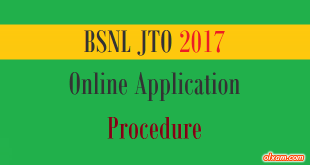 BSNL 2017 Application – JTO. Apply Online Now!